Leeds legendary club night returns for a one-off party with house music royalty JULIE MCKNIGHT! Early bird discount tickets priced at just £10 are available until midnight this Friday, do not miss out! 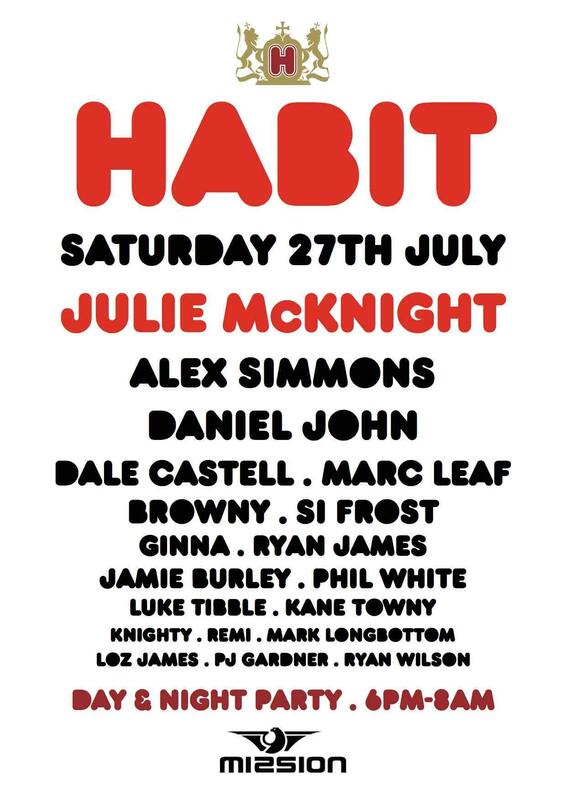 If you went to HABIT you know exactly what this night means to Leeds and just how special this one-off event will be - if you never got the chance to go, you are in for one hell of a night!